Passano Opticians are now excited to be offering the most comprehensive eye examination available. 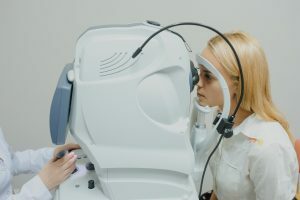 Eye health has always been our main priority and together with our two highly skilled optometrists, we have now invested a considerable amount in the latest optical equipment. This allows us to provide the best possible service. The new equipment enables the optometrists to assess many eye conditions in more detail. 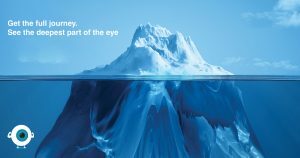 Conditions range from dry/watery eyes to more serious eye disease such as age related macular degeneration (ARMD), glaucoma and diabetic retinopathy. As a result we are now offering an ‘extended test’ which is a 45 min to 1 hour eye examination. Included in this time is an assessment of your vision, external eye, ocular muscles, pupils, eye pressure, peripheral vision and retina. A retinal photograph is taken and then a scan performed on your macula and optic nerve. If you are concerned about your vision and eye health, or have a family history of any eye conditions, this is the examination for you. Furthermore, we have now also implemented a fully functioning website where you can conveniently book your eye appointment online. We have also included an online web shop where you can purchase any prescription glasses, sunglasses and contact lenses from our website. To cater for the even busier patient we can even provide delivery to your home or work.